1. Don’t go berserker when not in battle. If you are not in battle, it is extremely important to learn how to control the berserker within yourself. Controlling the berserker will help you in the long term because there will be times that you will originally freak out and kill everyone in your path, just as Thorolf did before King Athelstan who decided to divide his army and separate him from his brother Egil. The end result was Thorolf was not as used to the after effects of going on a wild killing spree. The exhaustion afterwards was not in Thorolf’s favor, and he ended up dying; Thorolf was uncertain and did not know how to control his berserker attitude that exhausts the body. The strategy King Athelstan uses in separating berserkers on different lines of battle is thought to improve the outcome, which ends up making it beneficial to the king because he may win the battle. 2. Give your king more than half of your findings after traveling. After finding furs, gold, and any other valuable treasures, you may feel the need to hold out on your king. If you actually do hold out on your king, you may want to rethink returning to his services. Would it be worth it to hold out on your king? Like Thorolf in the beginning of “Egil’s Saga”, King Harald was very strict about receiving his amount and Thorolf, his “first hand man,” was accused of taking more than his share. Accusations like this can ruin your reputation for one, and it can also have a tragic ending to your friendship. Although King Harald did not have proof of Thorolf keeping a portion of his share, he proceeded in murdering Thorolf. Overall, keeping a king’s treasures is a bad idea. 3. Speak highly of your king. Whether you are in trouble with your king or not, you should speak kindly about him. Your king most likely has trust issues with his men, and he will be very observant of them. Icelanders are typically close due to their small population, so if there is a problem regarding a disagreement with your king, you should speak directly to him rather than with a family member or someone else that could ruin your reputation with the king. Although a family member might speak on your behalf and attempt to negotiate the king’s feelings about your slander against him, he may be more infuriated because you should be the one speaking with him. If you are capable of sweet-talking your king into being on good terms with him, you may actually live, and your kinsmen may stay on good terms with him as well. 4. Bribery is always a positive. Always keep your king happy because, when he is furious, things may not be in your favor. You may think of offering your king much more than he needs because he believes you were slandering his name because you want to prove your loyalty. Money plays an important role in the king and everyone’s life because it provides them with a title and landholding. King Harald is the epitome of greed in regards to his men and riches: “I will accept money for the death of those men” (Thorsson 71). The acceptance of money for the deceased shows how wergild works during this time. Money talks, and it plays a big part in the presence of the king because the king takes the wergild and also uses it with his men to calm any wrongful deaths that may have taken place to their kin. This wergild is almost like a control for the king when dealing with his men. 5. Do whatever it takes to please your king. A happy king means that you will not die; it is important never to betray his trust when traveling. Some others may slander and convince your king that you have done him wrong and kept more riches of his than the share you were allowed. In case your king accuses you of stealing, outlawing yourself before he does may be a good idea. Even if your king is anything like King Eirik and does not accept apologies too well, you should try to convince him that you are worthy of him. Advice of your peers may or may not help just as Arinbjorn did for Egil when King Eirik was ready to kill him: “my advice for you to stay awake all night and make a poem in praise of King Eirik” (Thorsson 112). Egil was not actually murdered by King Eirik at this point, but when he had the chance to flee the country from King Eirik, he did. Either way, leaving or giving your king what he wants is beneficial to yourself and him. 6. Your king may have to bribe you not to berserk on him. In order to get you to stay on the king’s side during and after battles, the king may offer you gold or other riches. If you deny the riches you may gain the chance to work under his allegiance again. The king’s powers over his men/army can potentially protect you and your family, and it is important to your success and overall life to stay on his good side. When your king does something like King Athelstan dividing brothers causing one of them to die during battle, he may be inclined to keep you happy by giving you money to keep you from killing him. 7. When there is a disagreement and you feel the need to disrespect him, do it when it is just the two of you or while he is unarmed. King Eirik believes that he is right in different instances; he is the king, and he knows what he wants and is willing to do whatever it takes to make sure you suffer for any ill-doing to him. Disgracing him in any way may cause a conflict that will be internalized; it may explode at any given time: “I have no need to enumerate all the wrongs you have done…you are never leaving here alive…You should have known in advance that you would not be granted any reconciliation with me” (Thorsson 111). 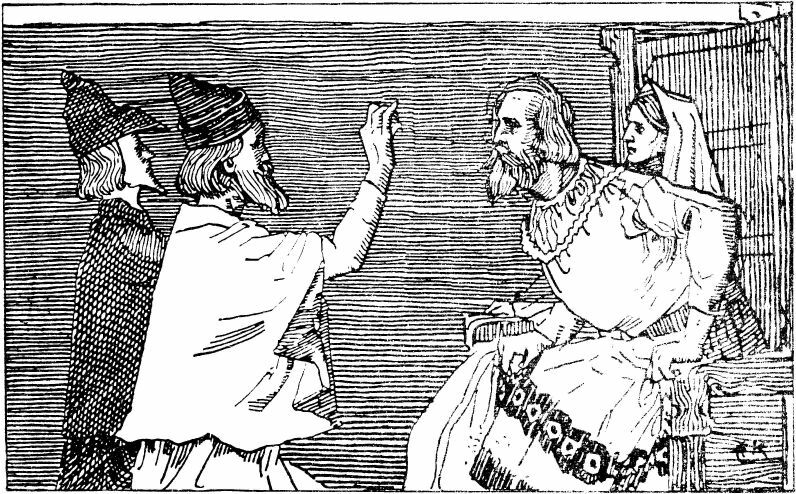 King Eirik demonstrates the vengeance that he will act on when he sees fit, and when Egil showed up at his table, it showed that the two had not resolved their differences and one of them is about to be punished. MaryAnn R. Adams studies English Literature at FSU and is working towards becoming a secondary-school teacher. An avid reader and traveler, Adams is a big believer in the power of education for all. Our congratulations and my personal thanks go out to Adams, Kisha Tracy, and all of the students in FSU’s ENGL 3030 Middle Ages class. Thanks for making Medievalists.net a part of your learning!